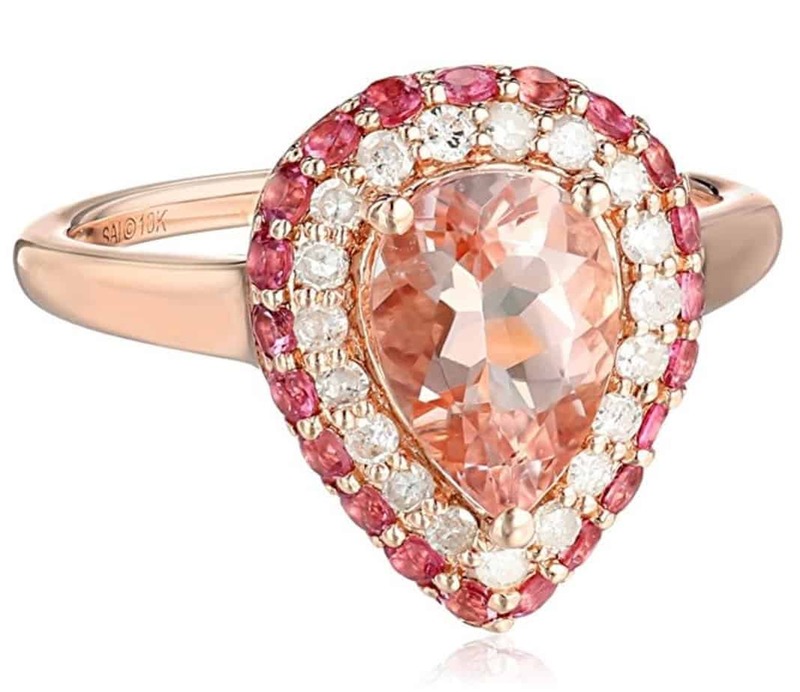 If you’re on the fence about a Morganite ring, you’re not alone. 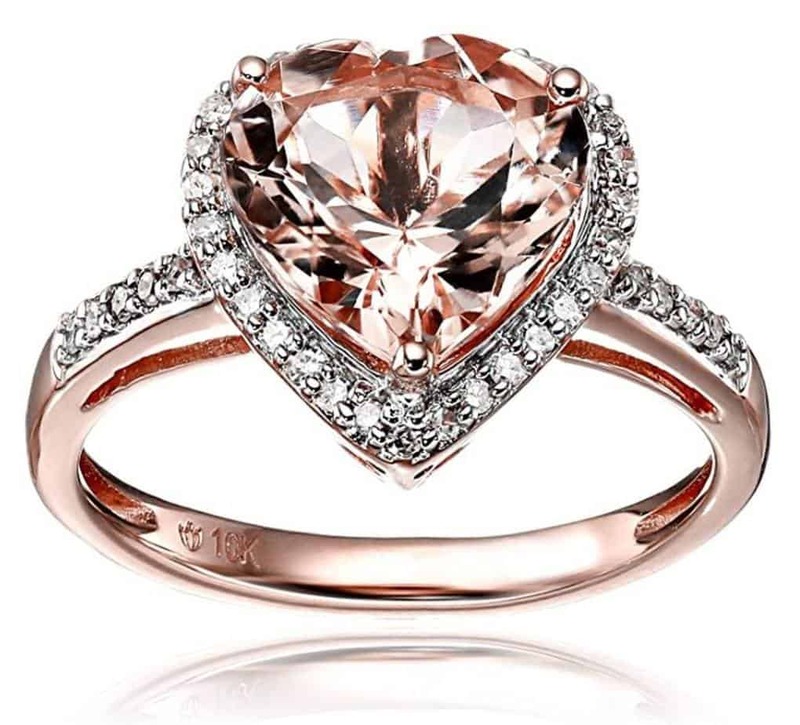 While many women love the color and the unusual settings that feature Morganite stones, it can be a tough decision without a real list of the pros and cons of the stone, which we are providing for you here. First a little about Morganite. It’s a semi-precious gemstone in the family of stones called Beryl. This is the same family that the emerald and aquamarine call home, too. It’s often referred to as a pink emerald for this reason. On the Mohs Scale, the Morganite falls within 7.5 to 8 like the emerald as well. When choosing a Morganite, it’s an incredibly personal decision. Forums like Wedding Bee and The Knot are full of happy women who have Morganite rings and have never once regretted their decision. They’re also women who researched their options before purchase. As we talk about the pros and cons of Morganite, consider how they will fit with your daily job as well as how you are with rings in general. This beautiful stone is incredibly affordable, which means you get more pretty stone for your buck. Instead of buying a tiny diamond for a few hundred dollars, brides-to-be are choosing to spend less and get a larger, prettier stone. It sometimes makes more sense to use that money towards a purchase of a home, so you can start a family sooner. 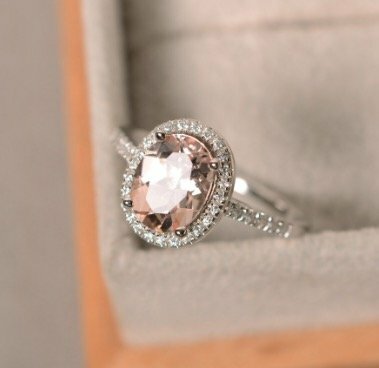 One of the biggest pros for the Morganite ring is the fact that it’s so sparkly and shiny. Whether it’s in natural sunlight or overhead lighting in an office, the ring will catch the eye of everyone around you. The delicate pale color of the stone is one that will garner a lot of compliments from strangers as well as people you know. In fact, many wearers of Morganite engagement rings have said they’re stopped by strangers who want to fawn over the ring. This might be a con depending on how often you want to get stopped to be asked about your ring! Morganite comes in a range of delicate, light colors from light, pale pink to a lovely violet. The two most common colors are pink and peach-pink or salmon colored Morganites. Many people choose the more common pink Morganite for their engagement rings. Looking to purchase a quality Morganite ring? Click here! One of the cons to having a Morganite ring is the fact that it seems to get dirty quickly. Some wearers report that they have to clean it twice a week to keep the stone looking sparkly and beautiful. Others have reported that they don’t have to clean the stone when they make sure to remove it when applying hand lotion. Luckily, the jewelry is easy to clean. A soft toothbrush and soapy water will do the trick. While the stone is a 7.5 on the Mohs Scale, that’s more than a few points below the strength of a diamond. The edges of the Morganite stone could easily chip if it’s banged around on a daily basis. This requires a protective setting around the Morganite. 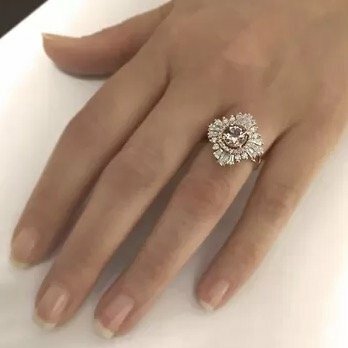 A stunning alternative to a prong setting is to use a halo of diamonds to protect the pink stone. The quality of the stone can dictate the price. There is no certification from GIA to protect the customer, but some have other ratings to help the customer make a decision based on the quality. You want one that doesn’t have visible inclusions. Be wary of a stone that is incredibly cheap since it’s likely to have flaws. Rose-gold is a great metal color that will enhance the color of the stone itself. Even if you choose another type of metal for the band, the jeweler can make a collet in rose-gold, so you’ll still get the enhancement. Many Morganite stones are heat treated to really enhance the color of the stone. Keep this in mind when purchasing. You might want a pale color as opposed to a more vibrant pink or peach. Heat treatment doesn’t diminish the stone in any way. When choosing Morganites in more than 2 carats, it’s important to ensure that the stone is properly protected in its setting. Don’t choose a ring with only four prongs. It’ll easily break or chip and potentially fall out of its setting. Some people who purchase Morganite rings won’t wear them on a daily basis to protect the ring. Others are very careful with their ring, and it lasts for years without an issue. At some point in the life of the stone, it may have to be re-polished or resurfaced. A professional jeweler should be contacted to perform that service. The Morganite stone can last for over 20 years without needing to be resurfaced. Choosing a Morganite ring for your engagement is a personal decision that you’ll have to make for yourself. You should determine how hard you are on your rings, and whether you’ll want to clean it twice a week. It’s simple to make the cleaning part of your morning routine since it’s quick and simple to use a small toothbrush on it.